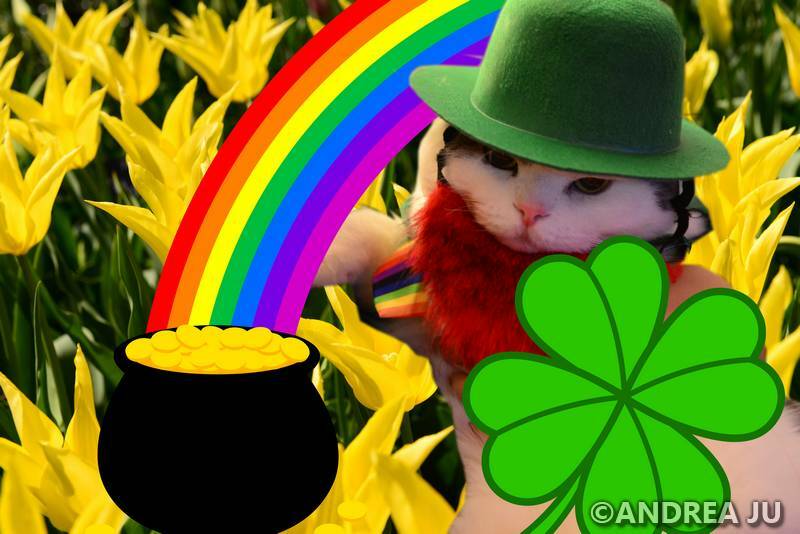 Everybody’s Irish for St. Patty’s Day. So how many of you will be suffering from the Irish flu on Wednesday? 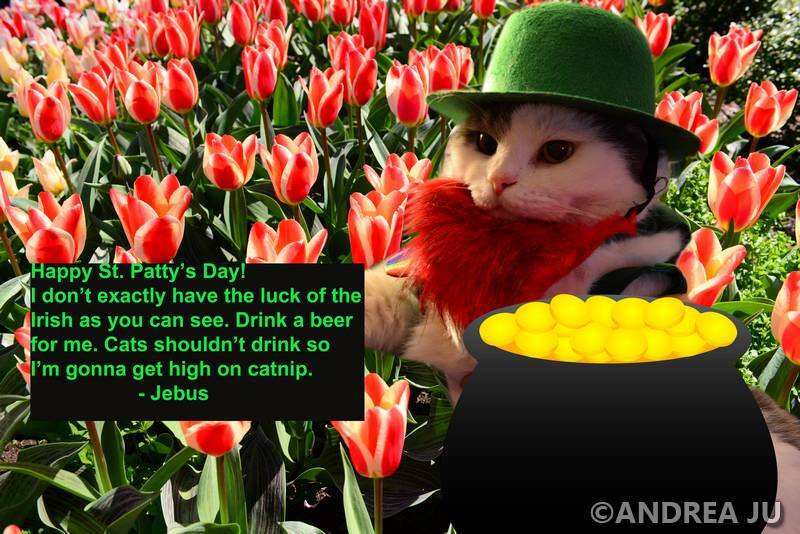 Posted on March 17, 2015 by jebusandandrea	This entry was posted in Cats, Jebus Mews and tagged Animal, Cat, Cat in Costume, Cats, Companion Animal, Irish, St. Patrick's Day. Bookmark the permalink. So damn cute!Amazing cat #catlover! Thank You! Jebus says “meow” flattered and grumpy. He likes the attention but he doesn’t really like the clothes. Right now he’s giving you belly. He wants a virtual belly rub. He loves them. I have a cat-European -and he really loves FOOD!I am trying to not give him much but he is playing me so I end up giving him some.I love cats and yours it’s wonderful.